I’m back, eventually, after a very long four hour flight home from Melbourne. Yes, I know I live in Sydney, it should be just over an hour, but just as we were coming in to land this morning, they decided to shut all runways, resulting in a little detour to buy petrol in Canberra, some 300kms away. I really felt for Qantas; they had put on seven flights between 7 and 8am, from Melbourne to Sydney alone, getting everyone back from the garden show (and perhaps a few from the cricket world cup) and then the rain falls. But it was all well worth it. The show was excellent. According to Paul, the cricket was pretty good too, although you Kiwis may not agree. But I digress. 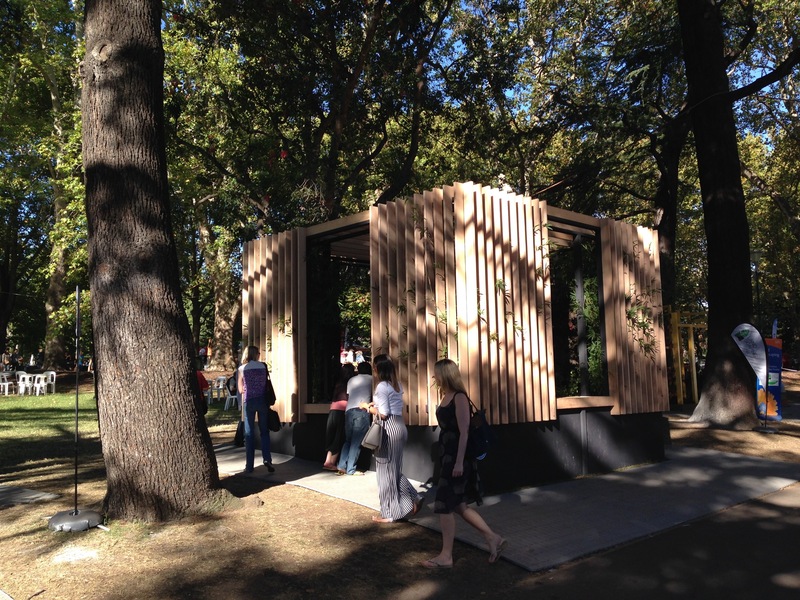 The Melbourne International Flower and Garden Show. MIFGS (“miff-gus”), for short. Utterly inspiring, yet again. 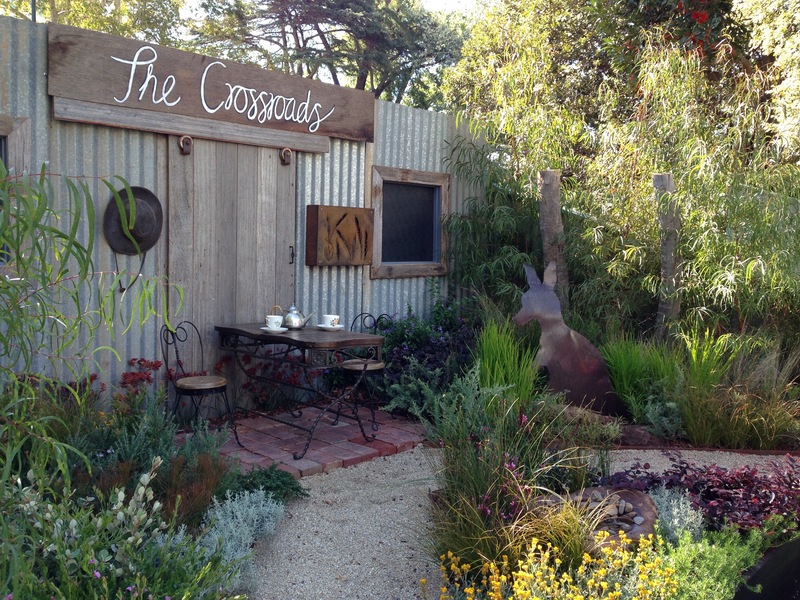 I’ve written up the eight award winning show gardens here, in the ‘Inspiration’ section of my website. Photos and an overview of my thoughts on each one. But I thought I’d share my overall highlights with you as a blog post. My overriding excitement was that there was a trend towards plants and away from hard landscaping. Hurrah! Yes, we absolutely need careful consideration of both for the ultimate garden, but we have been through a phase where paving is king and it seems as though there is light at the end of the tunnel. I don’t mind hard landscaping and planting having equal impact, I don’t mind planting dominating, but when hard landscaping is the feature with a few token plants, it leaves me feeling quite sad for all that is lost. 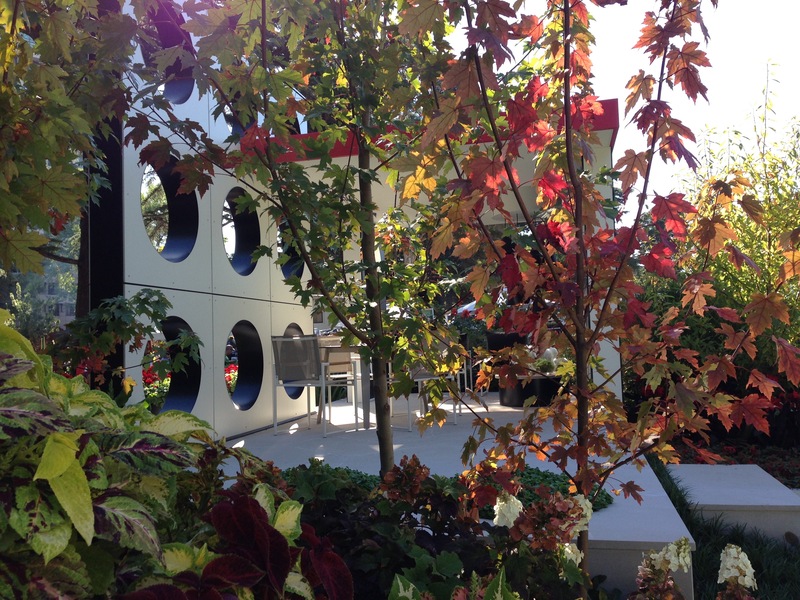 MIFGS also reinforced the fact that gardens touch me in different ways. It isn’t necessarily the gardens with the greatest level of skill that are the ones you fall in love with. 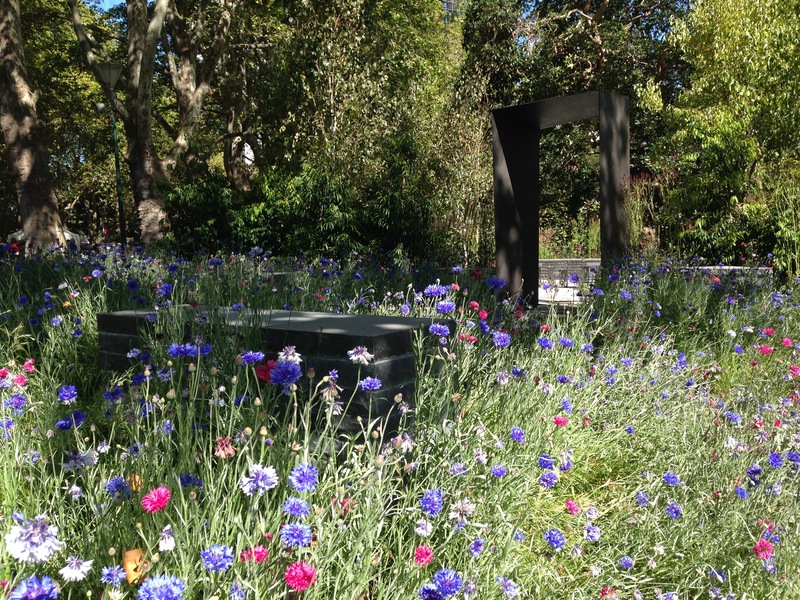 With professionally designed gardens, it is so often the thinking behind them, the attitude of the designer, the passion or lack of it that has the impact. Expectations are everything and a mediocre garden from a passionate, humble, truly engaged designer, for me, trumps a good garden from a highly commercial, ‘sausage factory’ designer almost every time. So, my highlights. Something that really came home to me, was how much I miss bees. I’m actually quite scared of them, as anaphylactic shocks run in my family and I have yet to find out if they have passed to me. But when you see them everywhere, you realise how much life they bring to a garden. The gentle buzzing sound, the movement between flowers, the hive of activity, the productive role they play. We had bees in Canberra. Lots of them. I particularly remember them absolutely swarming over my Sedum ‘Autumn Joy’. The same Sedum ‘Autumn Joy’ that I moved to Sydney in a pot. The same Sedum ‘Autumn Joy’ that is flowering as we speak. The same Sedum ‘Autumn Joy’, that is totally devoid of bees. How sad that is. I can only assume that there just aren’t enough flowers in our neighbourhood. I don’t think everyone is going around spraying vast quantities of chemicals, I just think we have a lack of flowers. Everything is about ‘year round interest’; typically evergreen foliage plants that might flower for a few weeks, but really don’t add up to anything much. I’m going to start a flower crusade. Many of my highlights centred around flowers. I am clearly having withdrawal symptoms. Take this cornflower meadow, for example. How unexpected is this in Australia? But how soft, how naturalistic, how beautiful is it? I couldn’t help but smile as soon as I saw it. And these poppies? I’m ashamed to say that when I first saw them, I thought it was a poor take on London’s Tower Bridge poppies last year. If you can’t take an idea, develop it and make it at least as good, don’t take the idea. After a chat with the awe inspiring Lynn Berry, I came away thinking these were far superior to London’s efforts (see photo of London’s poppies here). A social media campaign with her sister-in-law, Margaret Knight, sought 5,000 crocheted, red poppies for Anzac Day 2015. Several months later and Lynn and Margaret have collected over 250,000 crocheted poppies, 5,000 of which were displayed at MIFGS. 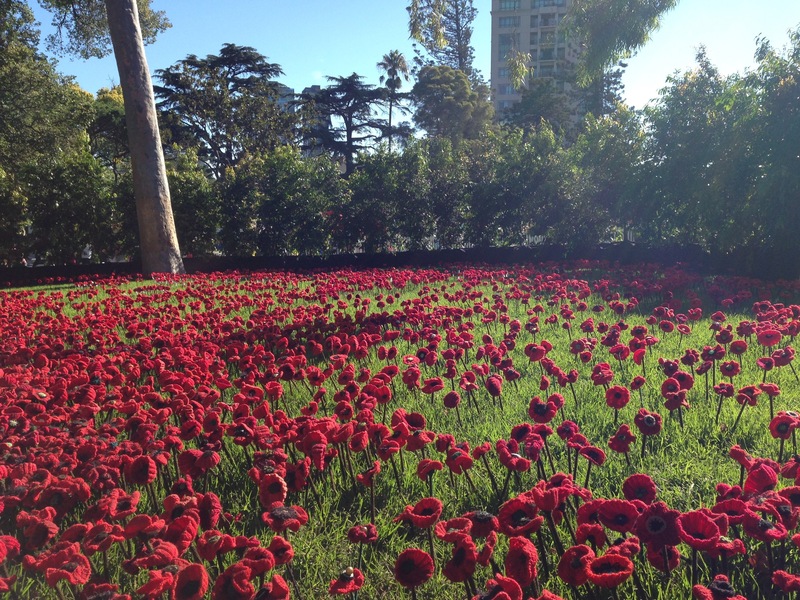 Just looking at the field of poppies was quite remarkable – what a wonderful community effort it was. I can’t help but feel more attracted to this, than London’s expensive art installation. It is a lovely story. I also noticed more natives than in previous years. Possibly, I just noticed them more. I love them more and more each year I live here, after all. But it was wonderful to see. They are so much harder to design with; so much less history to take inspiration from. But good for those who work with them and help us on that journey. I also loved the autumnal colours. I really feel the cold and really, really dislike feeling it. But seasons do connect you with nature in a way that year round warmth can’t manage. I think I’m exceptionally lucky to do enough travel to experience different seasons, but get to live in a warm city for the majority of the time. Another thing I loved was the use of older materials. Not necessarily recycled ones, but ones with some patina to them, ones that feel they have life beyond a manufacturing plant. Which brings me to my next highlight. 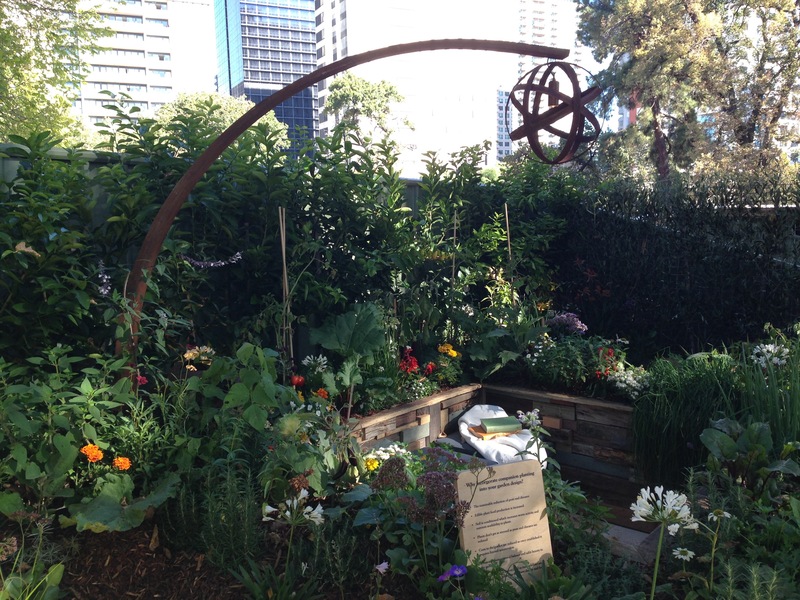 The ‘Achievable’ gardens, designed by students from the various horticultural establishments around Melbourne. These small gardens weren’t about demonstrating wealth via your garden, they were thoughtful, meaningful expressions of a love for nature; many of which you would never in a million years think had been created by someone still undertaking their formal education. And I loved the innovation demonstrated, with Jai Cheswick particularly coming to mind. 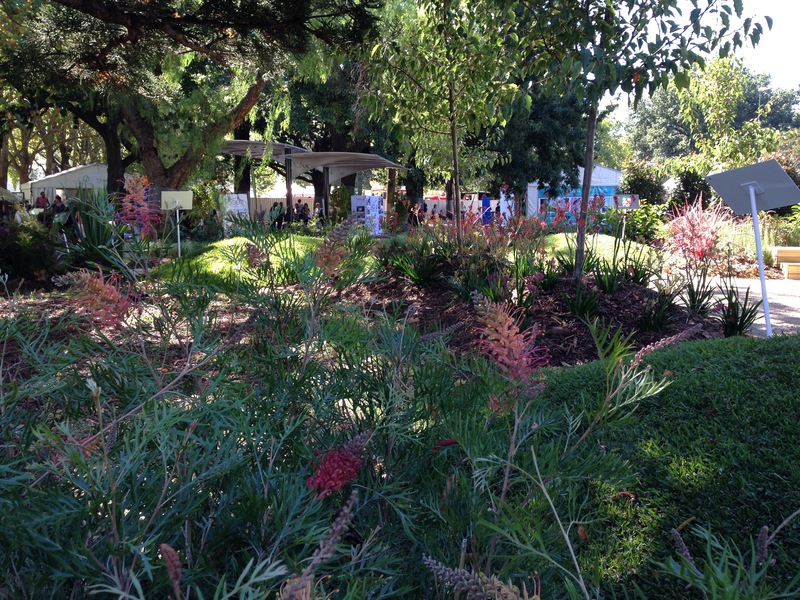 A real move from the typical show garden we see in Australia. (I’ll share more about his garden, soon). Just so much to take away and digest and enjoy from one show. I do hope the photos inspire you too. Which bits jump out and appeal to you most? 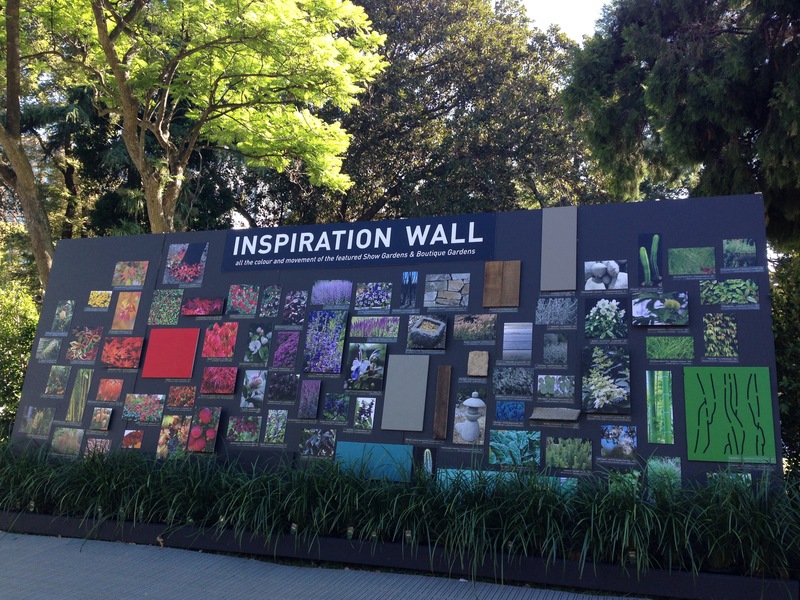 The Inspiration Wall at MIFGS 2015. A rainbow of photos taken at this years’s show. Stunning! Great post. I always love seeing the up-and-coming designer’s gardens: to my mind they have a great freshness and uniqueness. 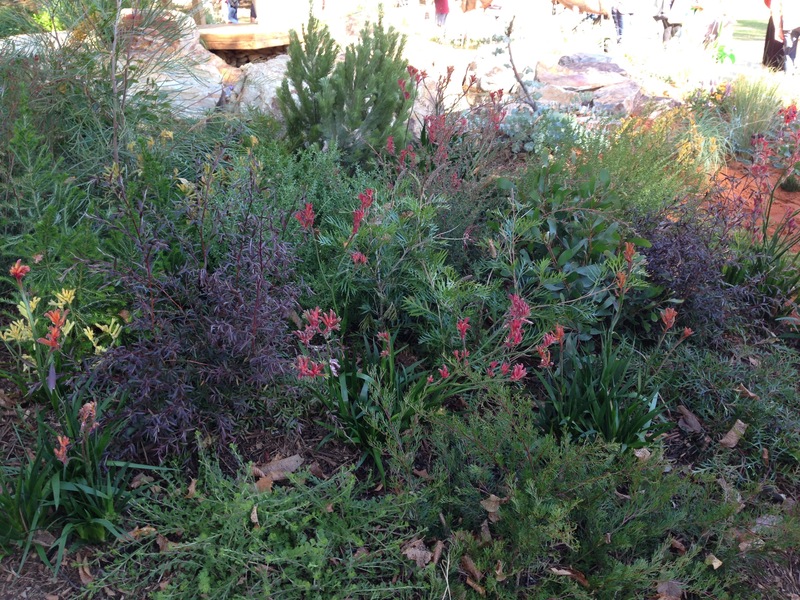 I really like the native planting…the density is wonderful. 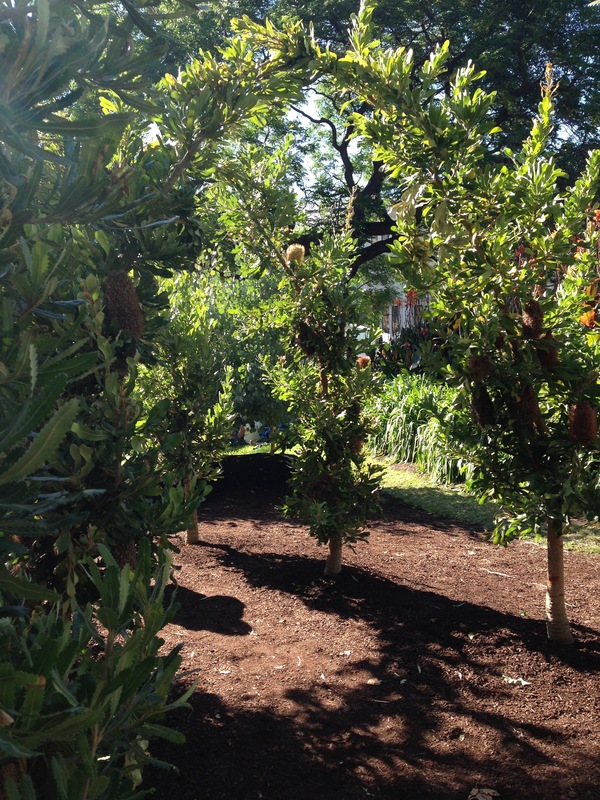 If only that would translate to a real garden situation, but the shade and humidity created by such close-knit foliage almost always causes long-term problems for native plants….but we can dream! Thanks, Matt. 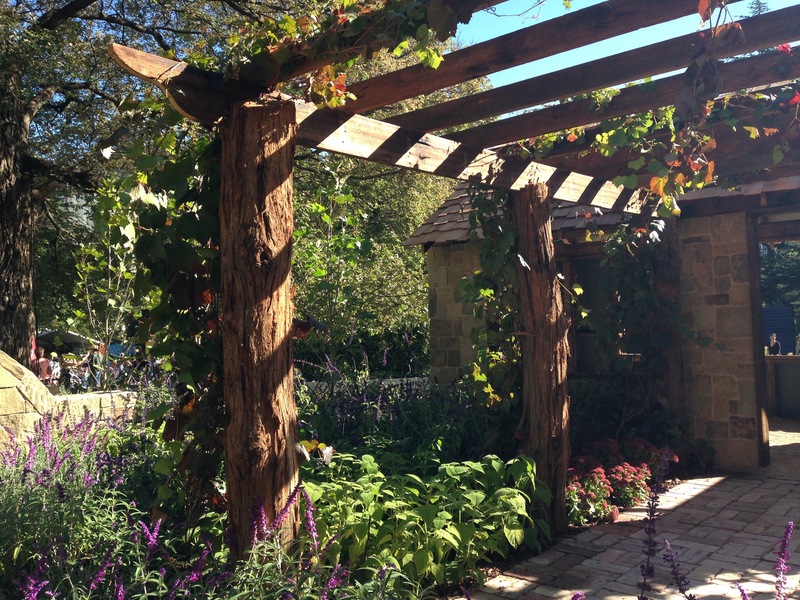 It’s true, all sorts of dreamy effects can be achieved in a 5 day show garden! Then again, other aspects are much harder to achieve outside a natural setting so I guess it is just different. You are absolutely right about the up-and-coming designers and their fresh thoughts. They are not so weighed down with what sells (or more accurately, what has ‘sold’ in the past) and it’s so refreshing to see their new thoughts. We are all still learning but sometimes, as time goes on, I think you learn some unhelpful stuff too! How envious I am. From your posts and what I saw on television the gardens were stunning. So many fantastic and “achievable” ideas. I would love to have been able to attend. I too love to have bees in the garden but I’m not so keen on the feral introduced variety which I do get removed. But I have beautiful native blue-banded, leaf cutter and carpenter bees. These are solitary and don’t sting. The blue-bandeds are buzz pollinators and feed in my exotic blue solanum bushes (S. crispum), adding another lovely dimension to the garden sounds. The leaf-cutters shred my rose bushes which gives the plants an interesting ‘lace’ effect. Actually all sorts of wildlife are welcome, bringing life and vitality especially in summer when plants are not at their best. Your bees sound amazing, Suzanne! Can you bring some when you come to Sydney?! I need to learn from you on the ‘lace’ effect too. I really want to want to share my plants around but I am currently looking in despair at my Clivia and not feeling quite so generous towards those caterpillars! Hmmm…maybe I’ve been to MIFGS too many times and have become a bit jaded. 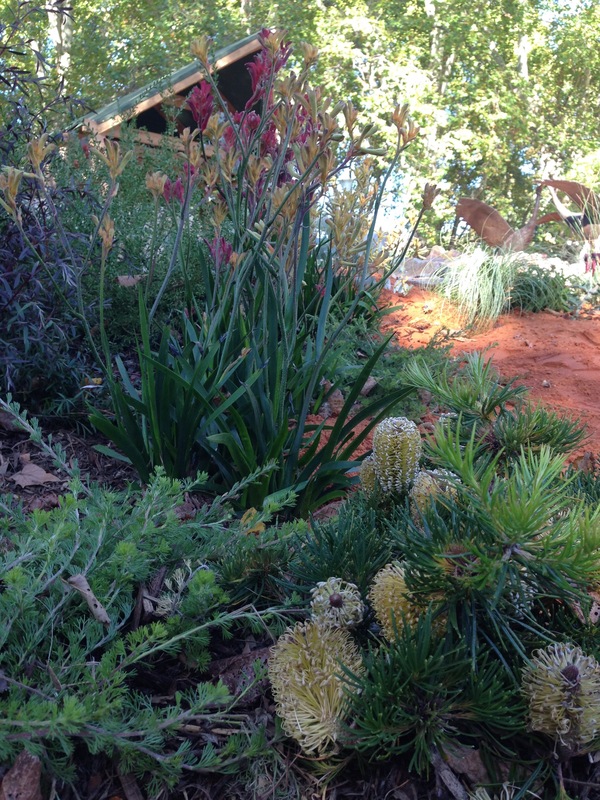 Or have inspected too many show gardens so that I’m now seeing faults rather than inspiration. 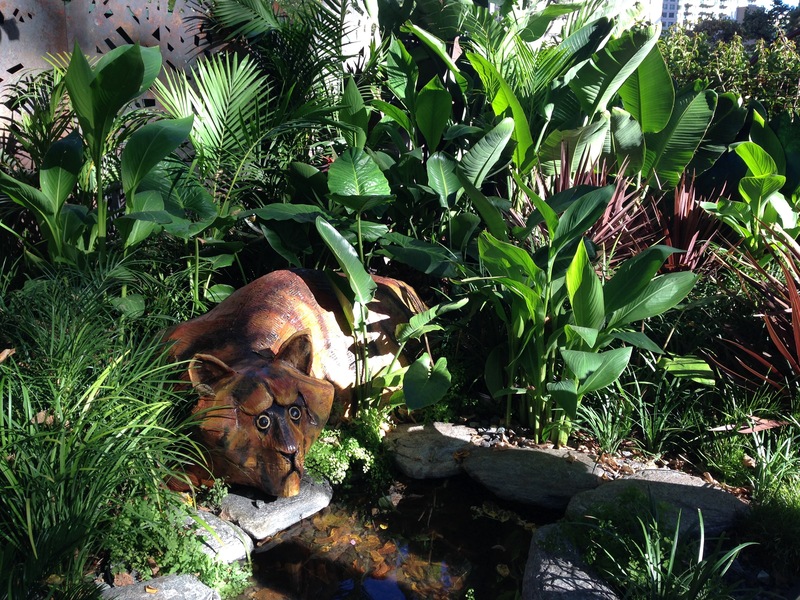 I did find that the Boutique Gardens were the most interesting section, and I especially liked Jai’s as well. I’m a bit like you. After the initial ‘ahh, a garden’, my mind immediately jumps to all the things that I would change. It’s just how my brain works. Useful at times, annoying at others. But I always come back to ‘expectations are everything’. I arrived this year, feeling that I wasn’t really a (‘false’) show garden type of person. That’s a huge part of why I came away buzzing. It’s also why I tend to like the lower budget gardens – with all that money you expect the really expensive ones to be absolutely mind blowing and then they can disappoint. I’ll be very interested to hear more of your thoughts at some point. 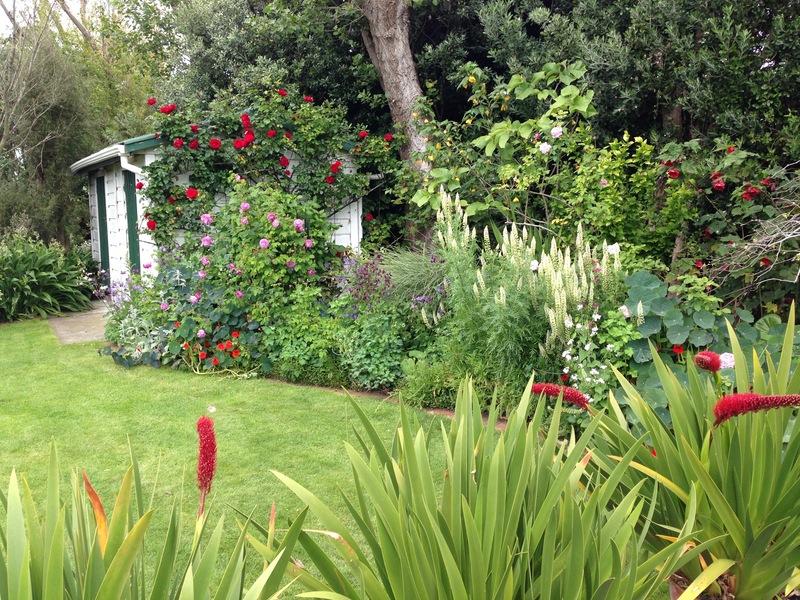 Your beautiful, lush garden certainly isn’t suggestive of a novice gardener, Dorothy, although I am very much looking forward to seeing your new oasis and meadow when I am next in Auckland! Forgive me if I don’t pass on your congratulations to Paul. Believe me, he doesn’t need any more encouragement! 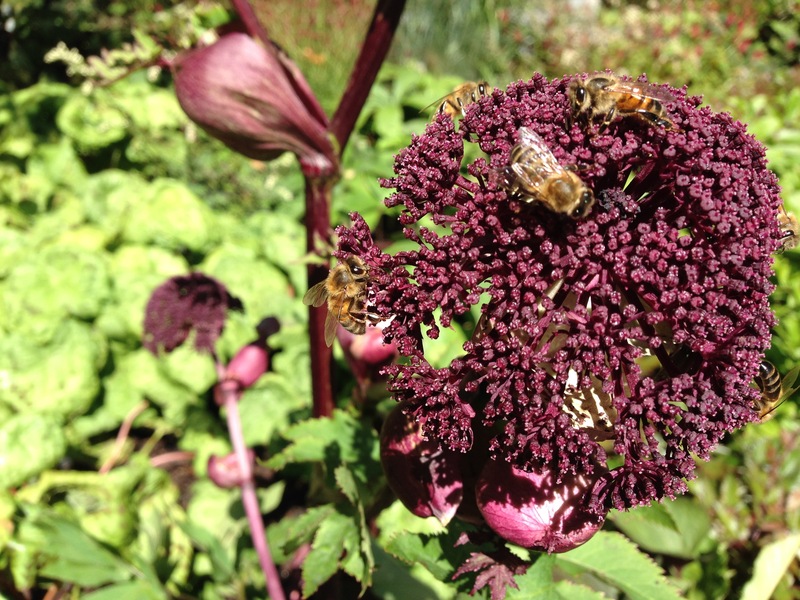 Great photo’s Janna, I particularly love the bees on the Angelica. Thanks very much! Those bees were amazing – every single inflorescence had as many on it. I rarely attend Mfigs for the very reason Catherine suggests I find the installations predictable and derivative. Young new talent is often more interesting because they dare to take risks, as you suggest Janna. Corn flower meadows sound wonderful but it is very difficult to do meadows in Australia, especially spring meadows where weeds out compete plants far too quickly in our climate. And then you have to have the room to allow the garden to self sow – which looks messy for a long time. Not the best in a small garden where every space has to earn its keep. Maybe an autumn meadow would work better hmmm something to ponder, or one using natives. I wonder if MIFGS will make me feel like that in a few years time (this was my third visit). Certainly Floriade in Canberra seemed way too predictable and contrived after a few attendances, which was sad after the initial ‘wow’ that I felt in year one. I agree that cornflower meadows are best kept in show garden territory, although an autumn meadow is a very interesting thought. If not flowering through spring and summer, it would at least have strong and tidy foliage through those periods. 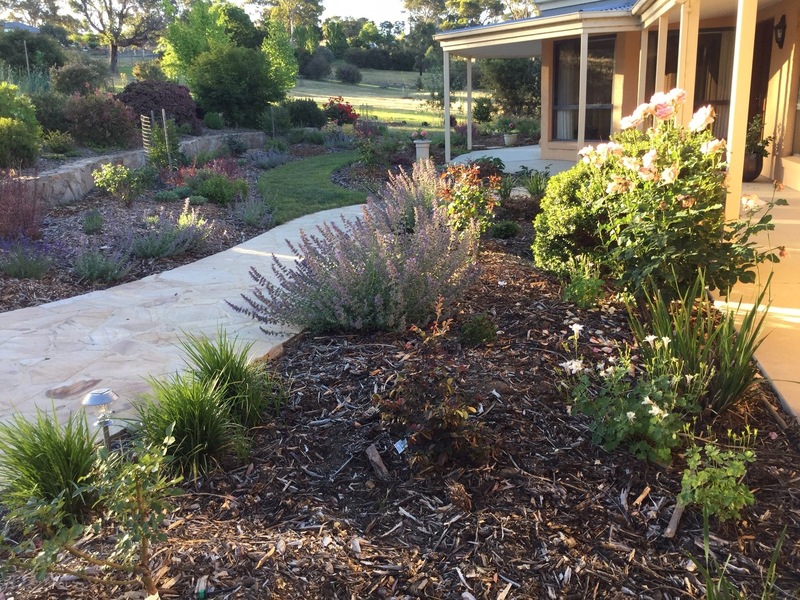 Perennial natives are such a mixed bag, but I am working on it! In the meantime, I wonder if garden shows would have more to offer if there was a stronger focus on planting combinations, rather than shiny pavilions? Perhaps the 2x1m plot would be an interesting and more applicable concept for most and allow for real planting innovation at a realistic cost. Now that is a thought Janna! I have never attended the MIFGS but would like to. I imagine as a novice I would quite enjoy it! Thank you for sharing these photos so I can at least experience what it would be like. Appreciate you sharing your views. I did quite like the cornflower meadow as well. Thank you, Louise. I’m so glad it was useful to see a bit of the show. Those cornflowers were gorgeous! I hope you manage to get to MIFGS in 2016 – I would definitely recommend it. I think you’d love it.